These fingerling potatoes tossed with parsley and butter are a quick and delicious side dish. These potatoes goes great with grilled seafood or meat. 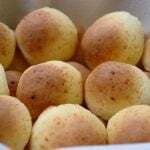 You can also prepare this recipe using a mix of baby potatoes or any root vegetable (sweet potatoes, yuca, parsnips, etc). The parsley can be substituted with any other fresh herbs: basil, thyme, cilantro, tarragon, etc. Sometimes I also like to add some lime or lemon juice to turn it into a simple potato salad. 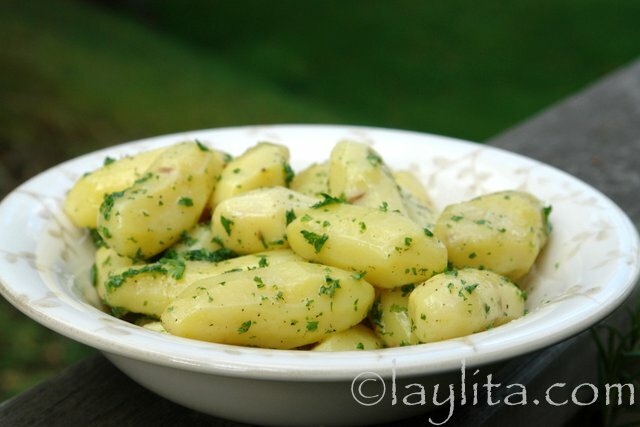 Easy recipe for fingerling potatoes tossed with butter, parsley and salt. 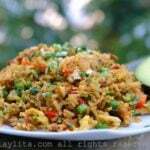 A great side dish for meat and seafood dishes. 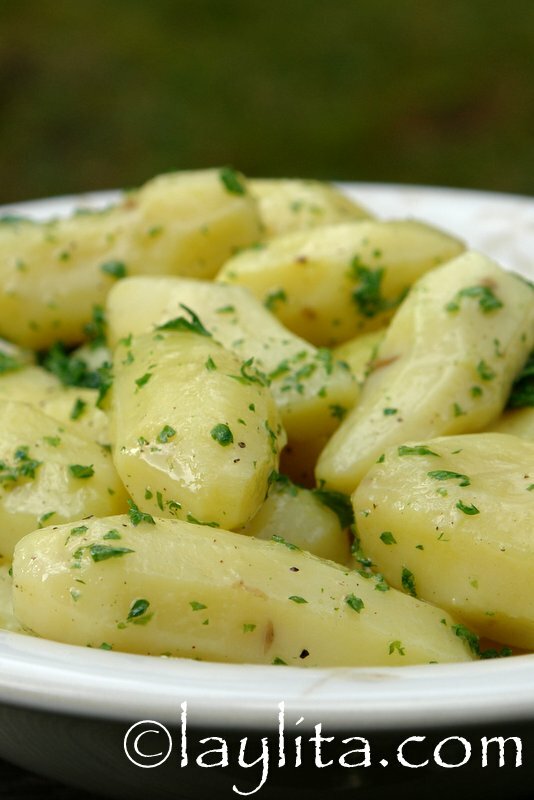 Drain and toss the potatoes with the melted butter, chopped parsley and sea salt.